WARNING: The following must be read into with overt sarcastic undertones, (which might then be noted as overtones…hmm). 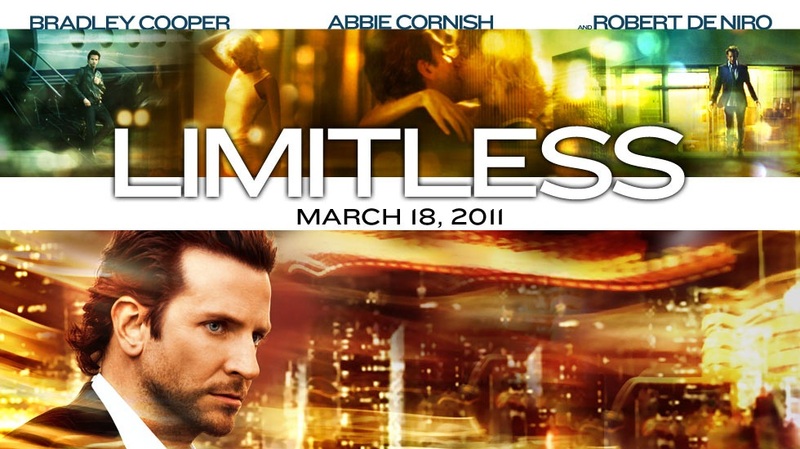 This film is truly limitless. I learned so much about the human psyche, about the healthy restoration of relationships, about the negative elements of substance abuse. In fact, it made me feel that I, too, should strive for a future on Wall Street, or better yet, in politics. It reminded me that the true creative centers of the brain, once unleashed, will be used for the benefit of human life universal, and not for selfish gain. I learned that I am only limited by filth and ugliness – that pretty people are smarter. And, that clean people have more fun. I learned that a majority of the world’s smartest and best are actually simply drug addicted, and that medication is a secret weapon for success. Actually, on a SERIOUS note= this is a terrible movie. The dizzying, long, panning shots through taxi cabs and into the brain’s internal censors are fast masks to cover the ridiculous story-line and worse writing. And, Brad, old Blue Eyes, you should never narrate. Or act. …modeling. Modeling might be your gig. Or comedy. But your message to the world with this film is that drugs are good. WRONG! Bad Blue Eyes. Drugs ARE BAD. They don’t make you famous or popular or smarter. In fact, sci-en-ti-fic studies prove that drugs actually kill parts of your brain – parts you will never get back, parts that some may have used to write, direct, and produce this unfortunately barbaric blockbuster (…blood slurping? really? I have not been this incensed since, well, since another blood slurping, lessonless plot-forsaken flick was released (See Sci-fi, Eclipse). Please do not join the masses who will see this and come one step closer to actually accepting that murder and lascivious living is acceptable, tolerable, or worse: funny. Rather, note the irony in the title, think of someone you know who struggles with addictive tendencies, and recognize this for what it really is: Limited. 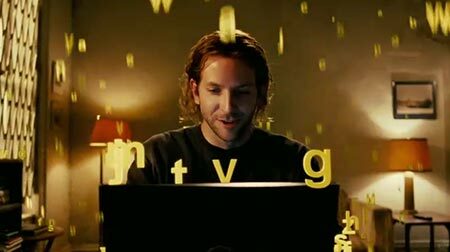 Interesting review of Limitless, however I have to say that I don’t think you appreciate this as being a social commentary on our drug addicted society, specifically gearing towards Adderall and drugs that are for ADD, ADHD, etc. In that case many people do feel limitless, feel more driven, feel a high of enjoying everything (even tedious work) in life. Was it the greatest movie ever no, however I thought it was an interesting thriller with a bit of a social commentary undertone. Also have you read the book? I haven’t but I wonder how it is. I haven’t read the book, no. I should. It would perhaps shed more light on these elements of social commentary. I can see where you are coming from, and though the drug used in this film was more addictive and life-threatening that the daily doses of those common for attention deficit, it does highlight the product of these drugs. We all want to live life to the fullest, but at what cost, right? Thoughtful. Thanks for your input.